It's not quite the Christmas carol, but I think it's one better. 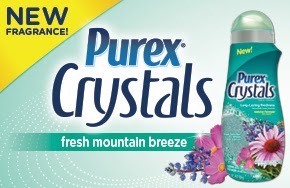 Purex Crystals has come out with a brand new scent--Fresh Mountain Breeze. To celebrate this new scent, they have the Over the Mountain and Through the Woods Sweepstakes where you can win $500 cash or other prizes. 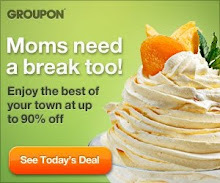 I love the slogan for this sweeps, "Enter to win a mountain of cash." Make sure you enter for your chance to win. I have a coupon for a free bottle of Purex Crystals so you can try out the fresh mountain breeze scent yourself. Enter below using the giveaway tools entry form. Good luck! Disclaimer: Purex provided me with a sample of Purex Crystals in exchange for a product review. However, all the opinions expressed here are my own. I would love to try the Free and Clear. I've never tried their new dryer sheets so i'd like to try those. I would like to try their dryer sheets. I like their mountain breeze scent. I would love to try the crystals for babies. I bet they smell great. I would like to try the Purex Baby Detergent. My niece couldn't use any other detergent except Reg. Purex, so baby purex must be good. The Purex Ultrapaks look good. I would like to try Purex Ultra Paks. I want to try the Purex dryer sheets but never find them when I am shopping. I also want to try the crystals for my towels.